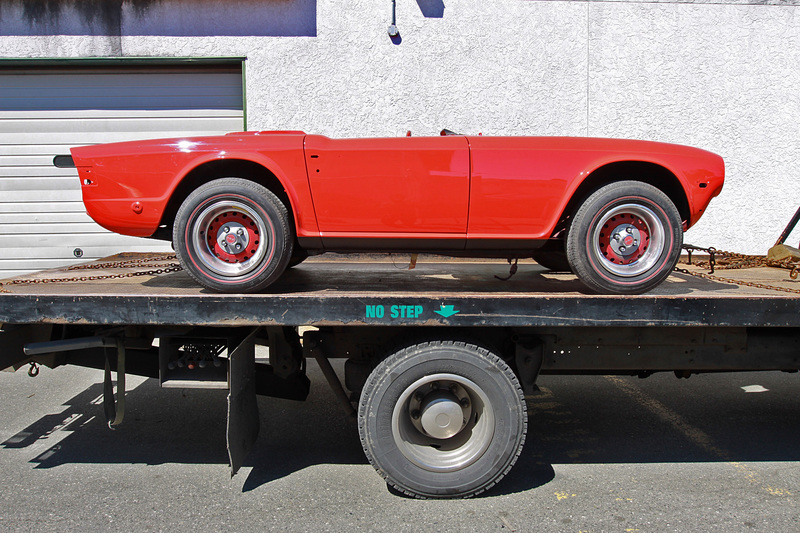 Recently we got the TR6 back from body and paint. 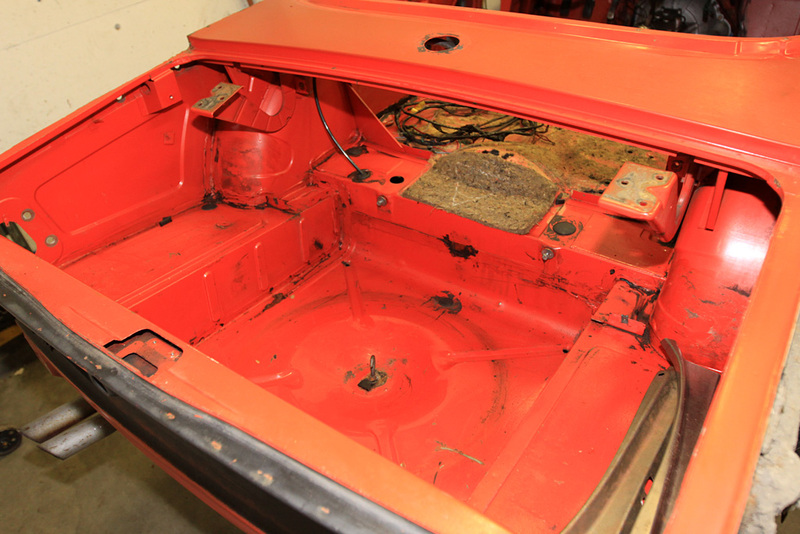 The level of quality with this job is simply wonderful, with the entire engine bay and fender being blashed and painted with the same care as the outer surface. 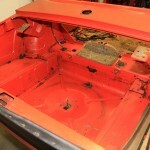 The pictures of this pimento red (really orange) car speak for themselves. 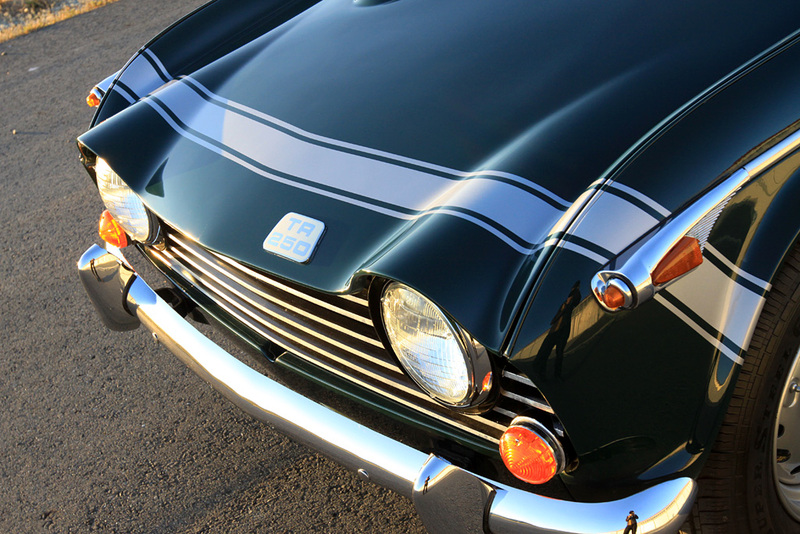 Paint is a single stage Imron Polyurethane Enamel typically reserved for commercial vehicles such as trucks, airplanes, boats. 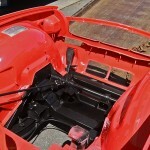 In other words, very durable! 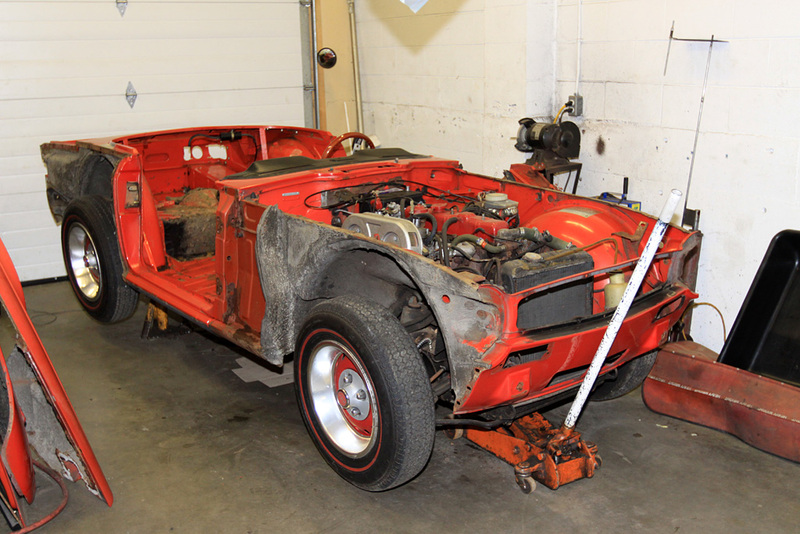 Today we finished the first stage of teardown on this untouched, low-mileage 1974 TR6 for restoration. 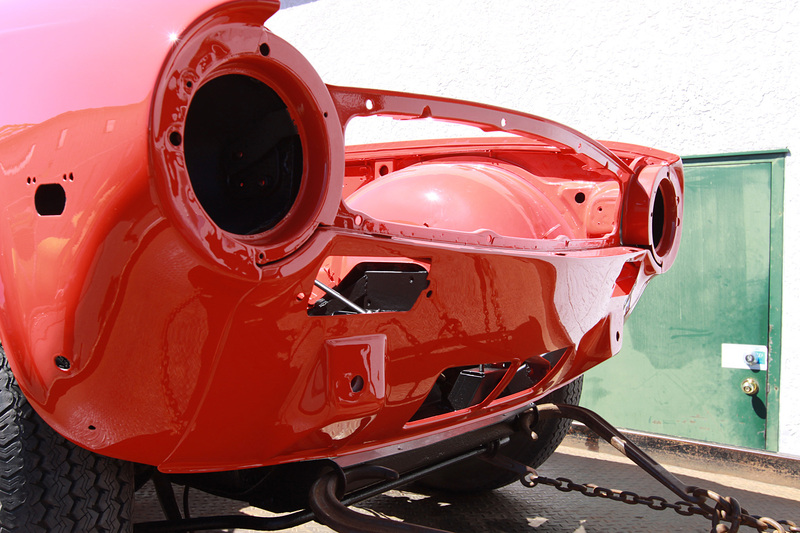 This very solid example has typical undercoater all over the inner fenders that will be removed and replaced with Wurth Self Etch Primer under a topcoat. 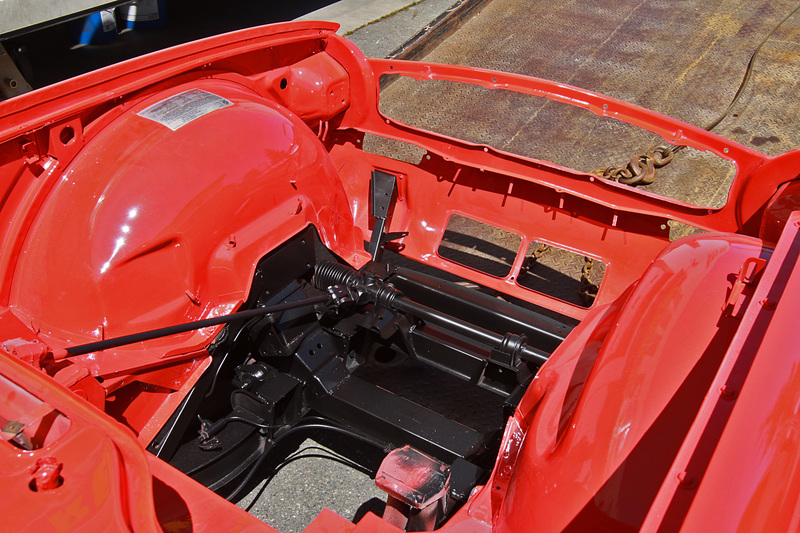 Many of the inner surfaces will be blasted while the entire exterior will be chemically stripped to prevent warping. 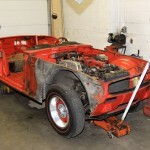 This Triumph TR250 restoration began in the USA and was completed here at Owen Automotive to get the car up and running. 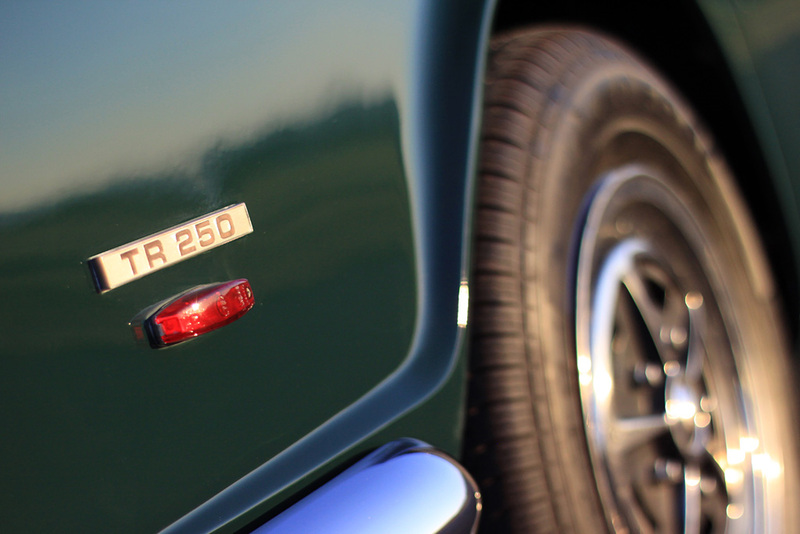 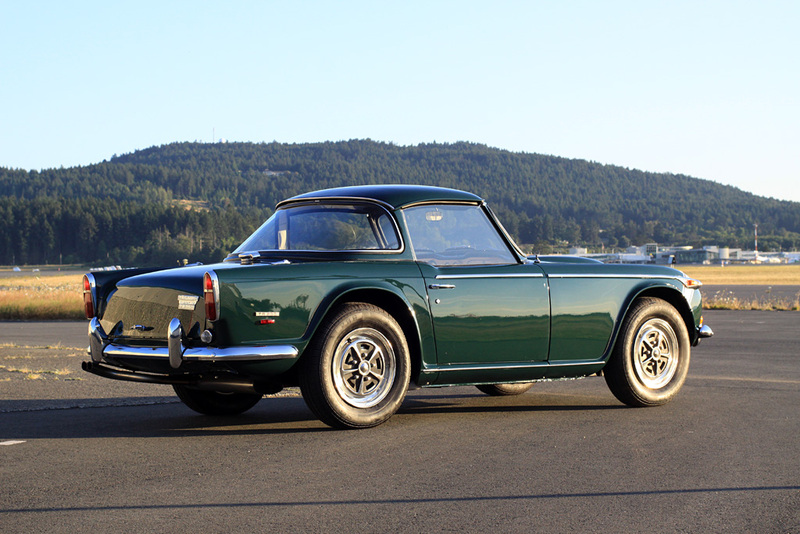 The TR250 is a relatively rare Triumph that was made only in one year for North America as an interim model between the Tr4 and Tr6. 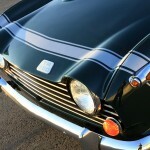 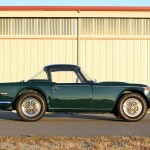 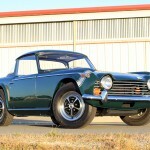 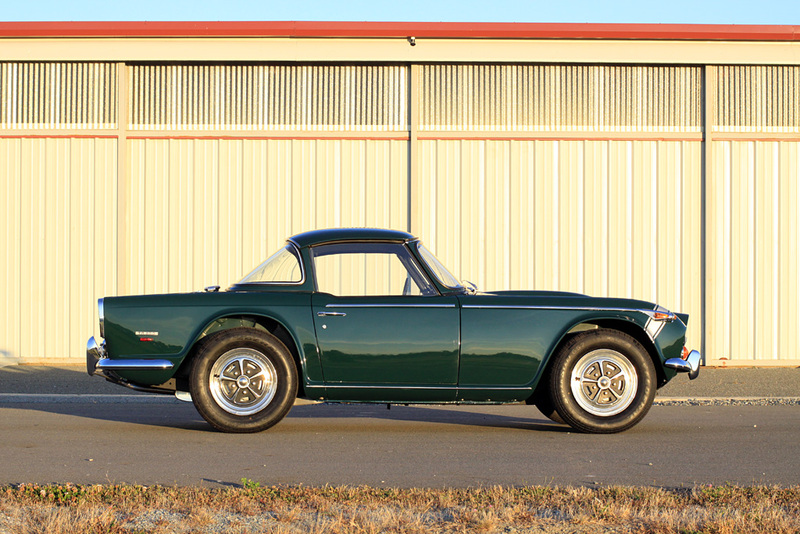 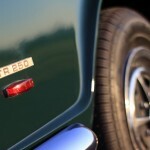 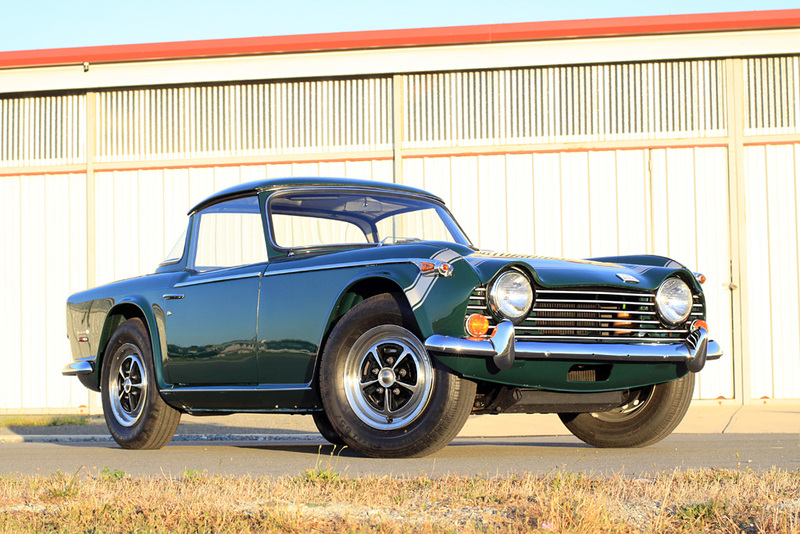 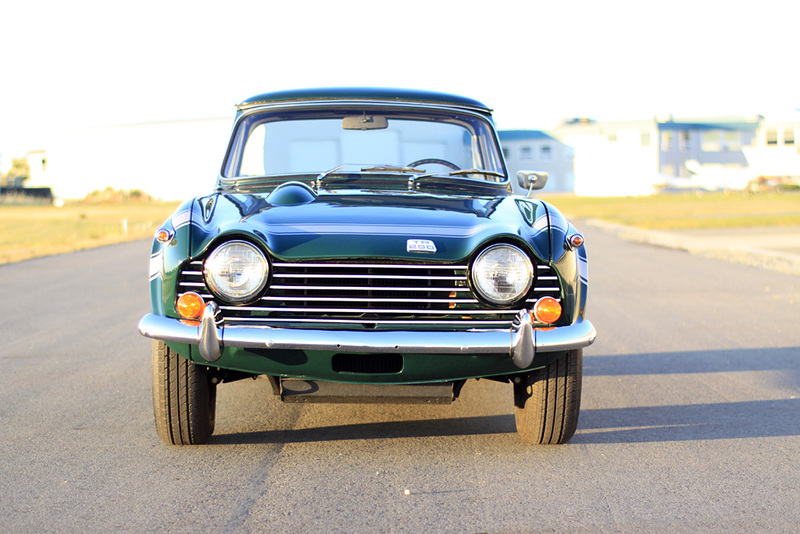 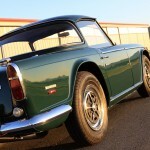 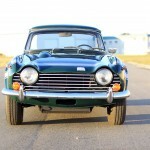 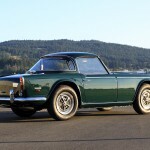 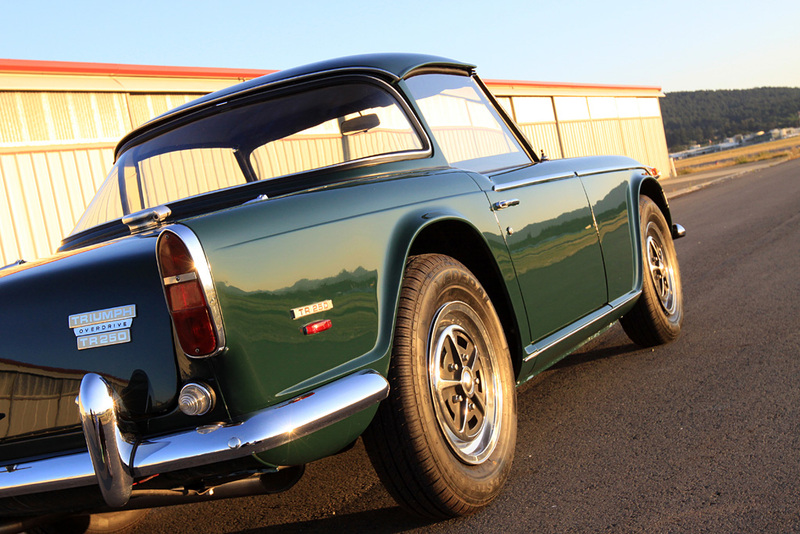 It uses the TR6’s six-cylinder engine, with twin Stromberg carburettors unlike the fuel injected TR5 in Europe. 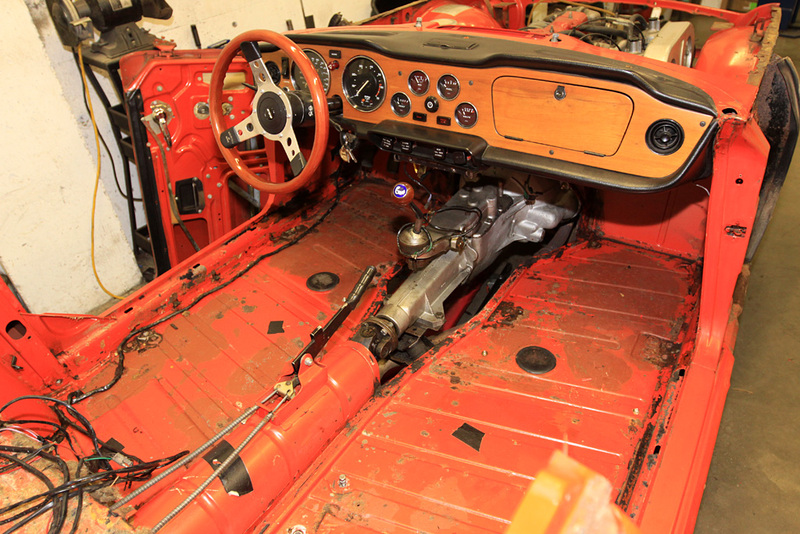 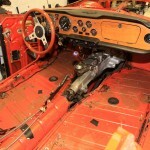 Many rare pieces were sourced to complete this car including the Surrey targa top and factory-correct steering wheel. 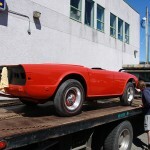 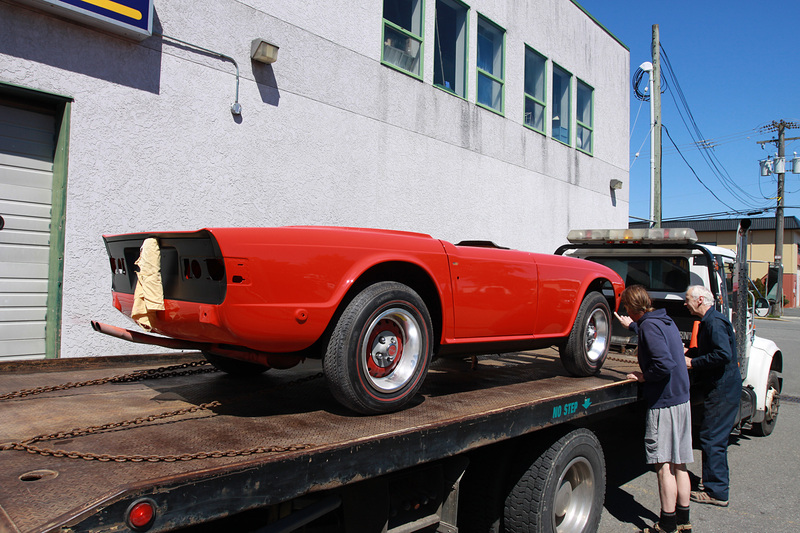 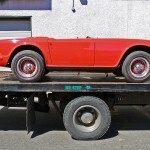 It was photographed right after an extensive wet-sand and polish by Jetstream Custom Auto.